Hello from the Florida Keys! I am so excited to be embarking on my Teacher at Sea excursion in just 4 days. 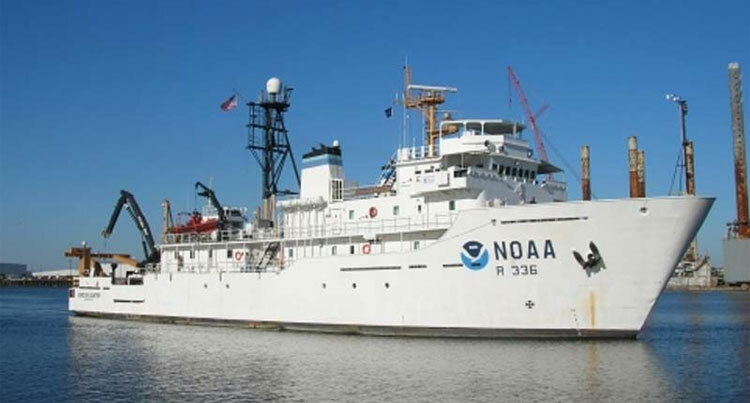 I will be joining the crew aboard NOAA Ship Gordon Gunter to participate in a Summer Ecosystem Monitoring Survey in the Northeast Atlantic, departing from Rhode Island and returning to port in Virginia. I am looking forward to working side by side with NOAA scientists, sharing knowledge with my students, and having the experience of a lifetime! My students at Ocean Studies Charter School are prepared to follow me along on my journey via this blog and our online classroom. They have even practiced their own Summer Ecosystem Monitoring Survey of the Hardwood Hammock forest surrounding our school! I hope you’ll join us in this adventure and check back here for more blog posts in a few days! 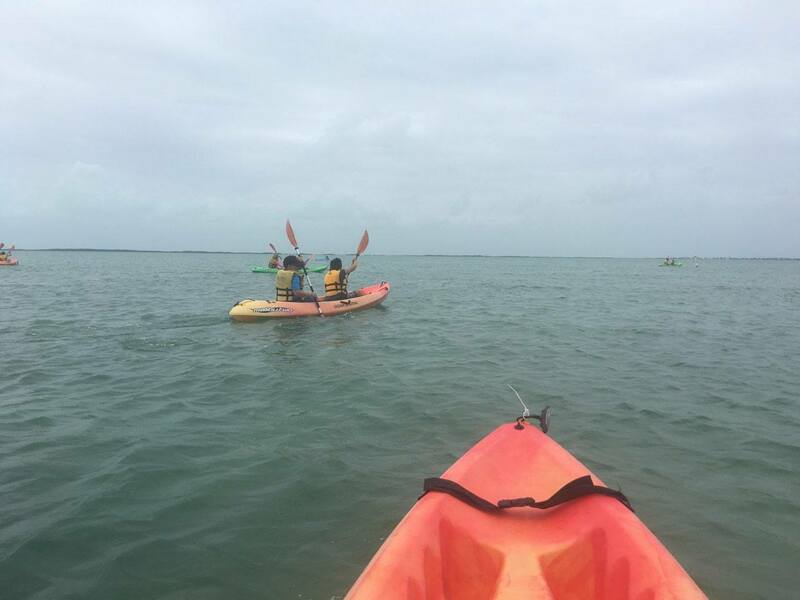 The view from my kayak as I lead Ocean Studies Charter School students on a seagrass investigation. 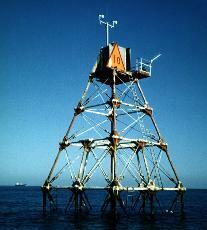 The NOAA weather station at Molasses Reef off of Key Largo. Photo courtesy of NOAA. 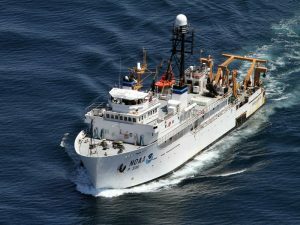 I am very much looking forward to participating in the Summer Ecosystem Monitoring Survey aboard NOAA Ship Gordon Gunter. 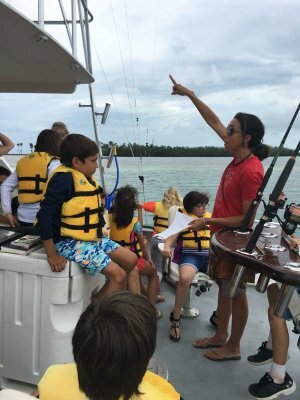 At Ocean Studies Charter School, we do projects to monitor the seagrass, mangrove, and coral reef ecosystems each year while out in the field. It will be interesting to see how NOAA scientists conduct these surveys; what tools and equipment they use, what animals and plants they will find, and what aspects of water quality they will measure. The ecosystem we will be monitoring on the mission is called the Northeast U.S. Continental Shelf Large Marine Ecosystem (NES LME). You can just call it the “Northeast Shelf.” This ecosystem spans the coast and out to sea from North Carolina up to Maine. Scientists want to know a lot about this part of the ocean because it is very important for something we love to do here in the Keys: FISHING. Fishing is fun, but it’s also the way that many people in our country get their food and make money to live. Fishing is a major industry along the east coast, so the Northeast Shelf Ecosystem is considered a very important natural resource that we need to protect. 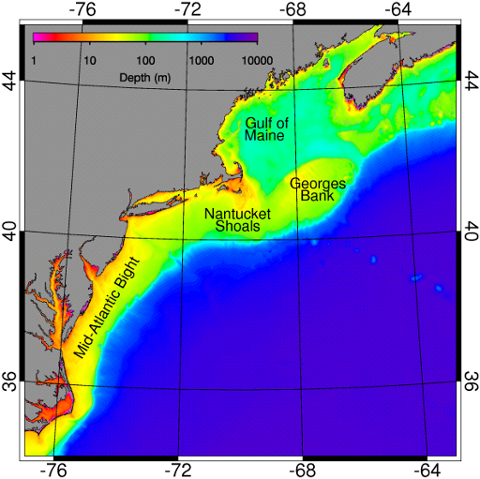 A map of the Northeast Shelf Ecosystem. Image courtesy of NOAA. How can scientists understand and protect this resource? It starts with Ecosystem Monitoring. An ecosystem is a place where living things and non-living things work together like a big machine. Each part of the machine, both living and non-living, is important for the whole system to work. 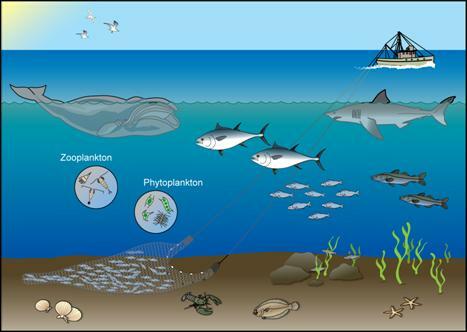 For example, in an ocean ecosystem, every type fish is needed for the food web to function. Clean water and plenty of sunlight is needed for the ocean plants and phytoplankton to be healthy. The ocean plants are needed for the invertebrates that the fish eat… and the cycle continues! In order for scientists to understand the fish that are important to us, they need to understand EVERY piece of the ecosystem since it is all connected. That’s why we will be measuring lots of different things on our mission! An ocean ecosystem has many important parts and pieces. Image courtesy of NOAA. Monitoring means “observing and checking something over a period of time”. NOAA scientists observe, measure, and check on this ecosystem 6-7 times per year. Monitoring an ecosystem lets people know WHAT is going on within the ecosystem. Scientists can use this information to research WHY things are happening the way they are. Then, they can use modeling to find out WHAT might happen in the future. This helps the government make decisions about our precious resources and make plans for the future to keep our oceans healthy and our fish populations strong. There are many types of tools scientists use to monitor ecosystems. Photo courtesy of NOAA. 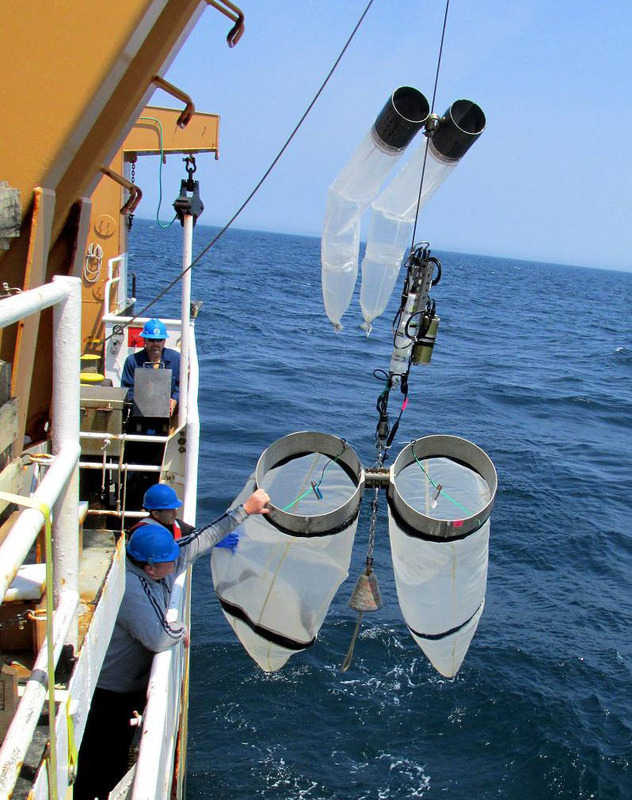 On our mission, scientists will collect plankton, invertebrates, and fish with special nets to count and measure them. They will look and listen for marine mammals and sea birds. They will take measurements of the water such as temperature, salinity (amount of salt), nutrient levels, and ocean acidification. These measurements will help them understand the quality of water and changes of the climate in this area. What other aspects of the ecosystem do you think are important to measure? I can’t wait to see how we will take all of these measurements and what we will see out there! I am proud to call myself the Marine Science Teacher at Ocean Studies Charter School in Tavernier, Florida Keys. We are a small public charter elementary school, focused on the surrounding marine environment and place-based learning. I teach science to all grades (K-5) and lead our weekly field labs. I even drive the school bus! We use the term “field labs” instead of “field trips” to highlight that we are not simply visiting a place. We are using the outdoors as our learning laboratory, working on projects, collecting data, and partnering with local organizations on our excursions. We study the local habitats of the shallow seagrass beds, mangrove forests, and coral reefs that we are so lucky to have in our backyard. 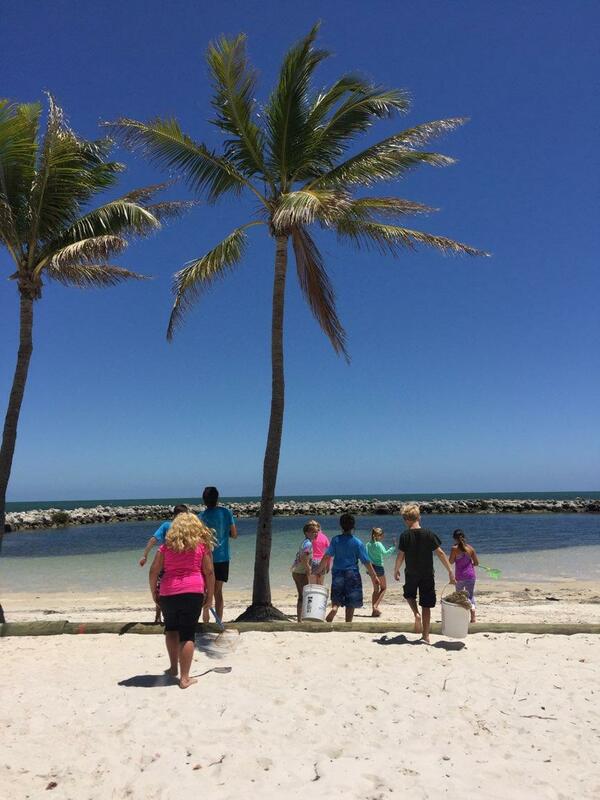 Taking students to the beach to study shallow water ecosystems. Upon my return from my Teacher at Sea mission, we will be hosting the grand opening of our new Marine Discovery Laboratory in the center of our school! After teaching marine science in an outdoor classroom for the past 7 years, I am excited for the opportunities that our state-of-the-art indoor lab will bring (no more visits from the local iguanas)! 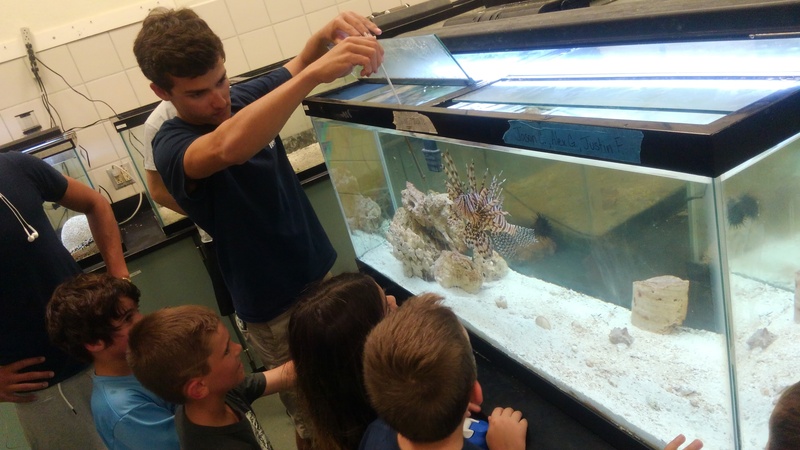 Learning about lionfish in the lab. My students impress and amaze me every day with their ideas and discoveries. I have watched them create and present model ecosystems, examine hurricane protection ideas by studying animal survival, and help scientists tag sharks to learn more about their populations. At the start of this new school year, I cannot wait to see what ideas they will come up with next! 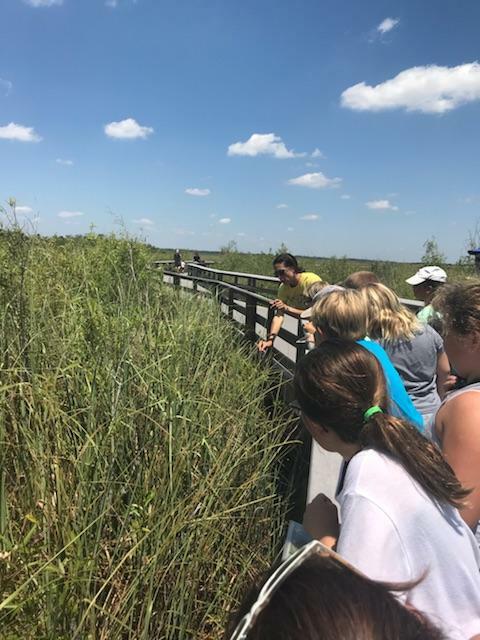 Leading students on a tour of Everglades National Park. Sustainable fishing with students in the field. It will be hard to be away from my family, especially my two awesome sons, ages 6 and 9. I hope they enjoy following along with Mom’s blog and that they are inspired by my experience! I originally hail from New Hampshire but have lived in Florida for all my adult life. Prior to teaching, I worked on boats as an environmental educator and earned my captain’s license along the way. I have been a SCUBA instructor, marine aquarist, and guide for summer travel adventure camps. As a teacher, I have been lucky enough to also participate in “Teacher Under the Sea” through Florida International University. In this program, I assisted scientists under the ocean at the Aquarius Undersea Laboratory right here in the Florida Keys. Throughout my life, I have loved the ocean. One day, I hope to sail out to sea and travel the world on my own boat. 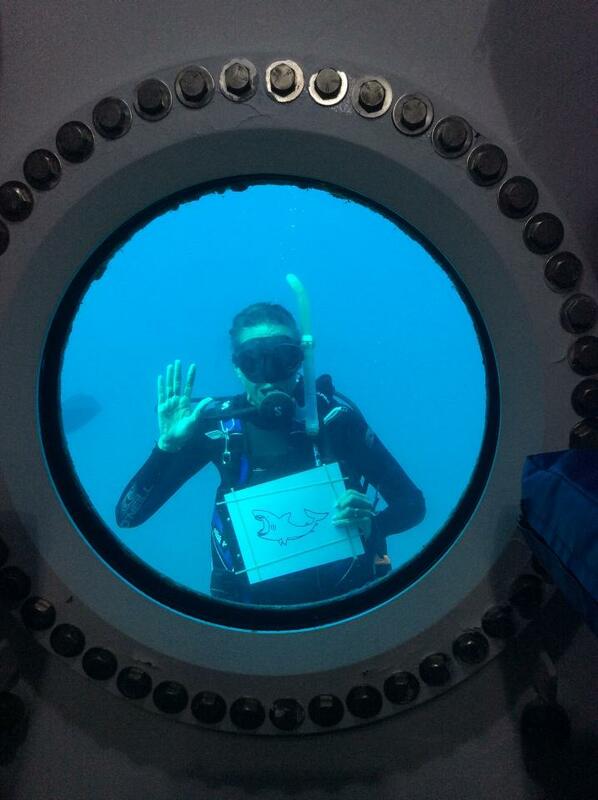 Diving outside the Aquarius Undersea Lab during “Teacher Under the Sea”. But for now, I’m not sure exactly what to expect in terms of living aboard NOAA Ship Gordon Gunter. I look forward to sharing adventures and stories of life at sea! Stay tuned to this blog and check for my updates in a few days. Sea you soon! NOAA Ship Gordon Gunter was named after an American marine biologist and fisheries scientist who was considered a pioneer in the field of fisheries ecology. The ship was originally built in 1989 as the U.S. Naval Ship Relentless and was transferred to NOAA in 1993. 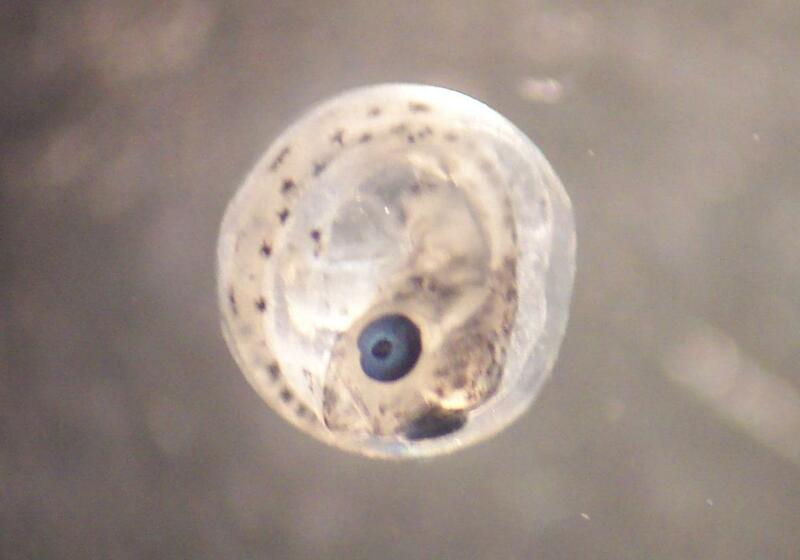 Ichthyoplankton – The planktonic (drifting) eggs and larvae of fish. 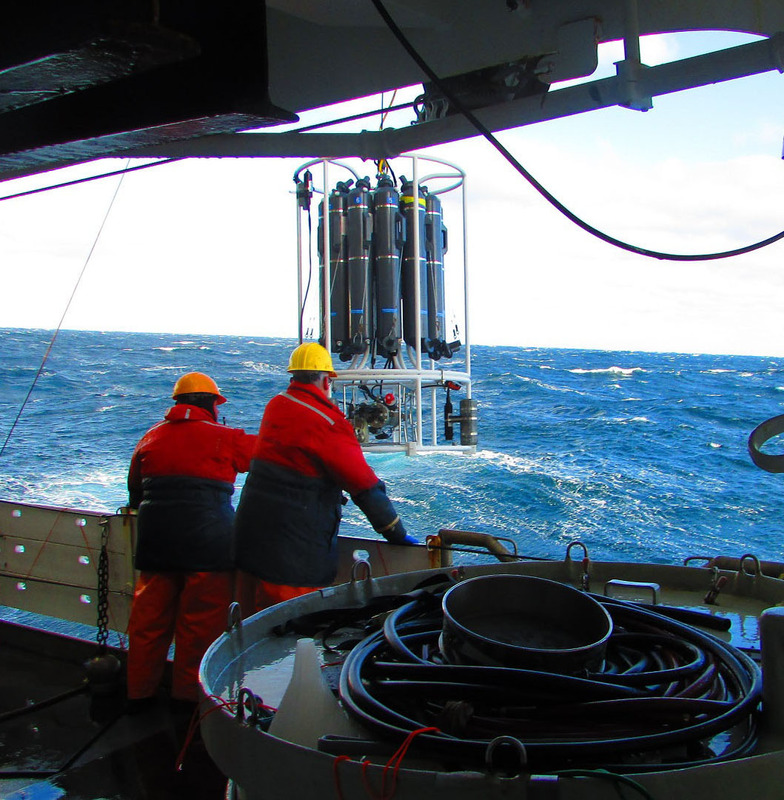 When scientists tow for plankton, studying the icthyoplankton helps them understand fish populations. An example of icthyoplankton. Photo courtesy of NOAA.